Bisco Smith is a visual artist and noisemaker. 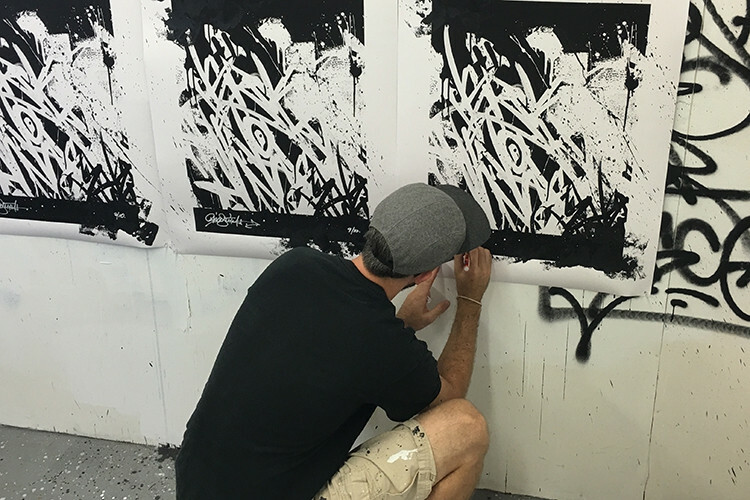 He works in black and white, exploring duality with a combination of street style and fine art technique. The work exhibits a raw energy that feels barely contained by his formal art background, threatening to explode off the canvas.